Our most basic pedicure includes a de-stressing reflexology massage and a deep exfoliation with organic sugar that leaves the skin feeling ultra soft and silky. Meticulous nail and cuticle care is included along with your favorite nail color application. Our modified Basic Pedicure for those on-the-go. 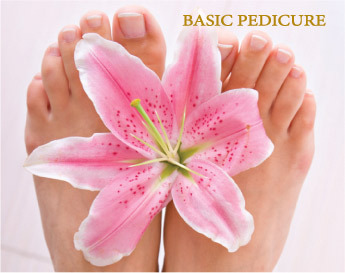 Includes meticulous foot and nail care to go along with your favorite polish.